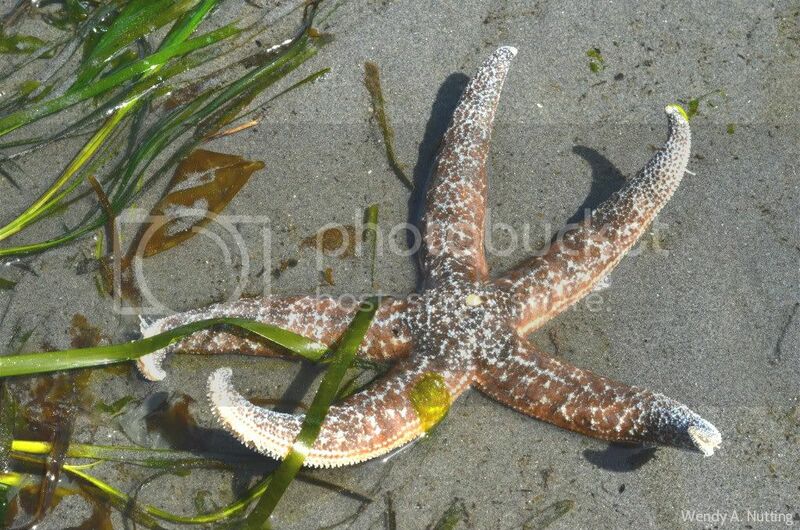 We have been so fortunate this week with incredibly low tides for many days in a row. 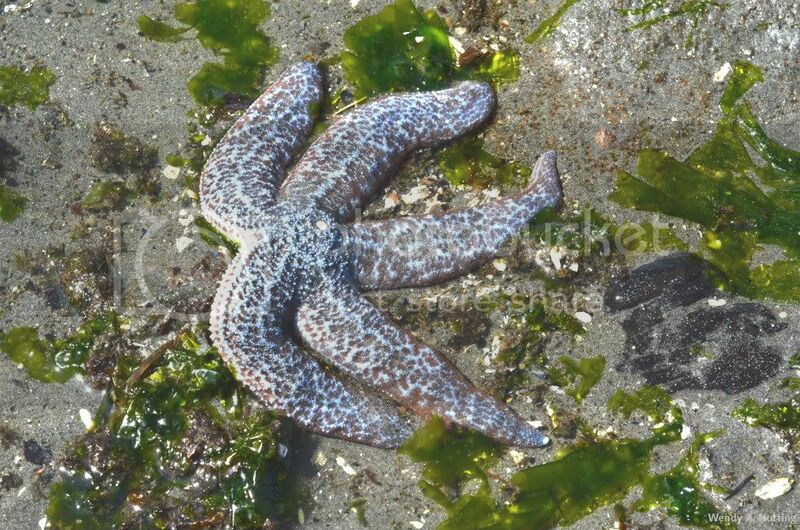 On this day I ventured to Brackett's Landing which is located just a few feet North of the Edmonds-Kingston Ferry Terminal. 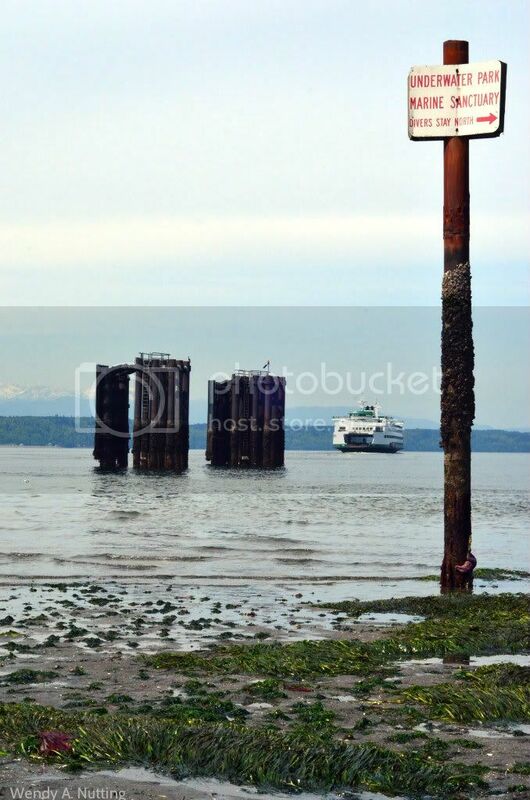 The water's edge seemed so far away, it was as if someone had just pulled the plug out from the bottom of Puget Sound and let the water drain. 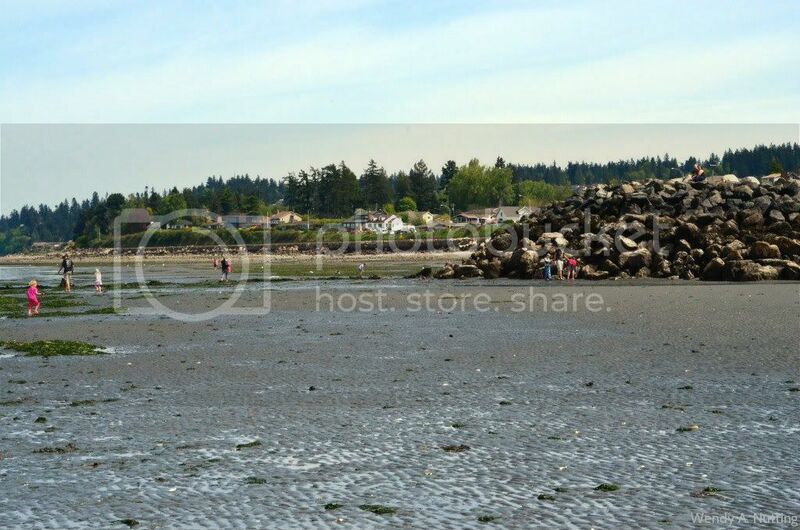 My last post on the low tide was in Richmond Beach, a little further South of Brackett's Landing and it was interesting how the low tide in Edmonds revealed a completely different tidal landscape.. 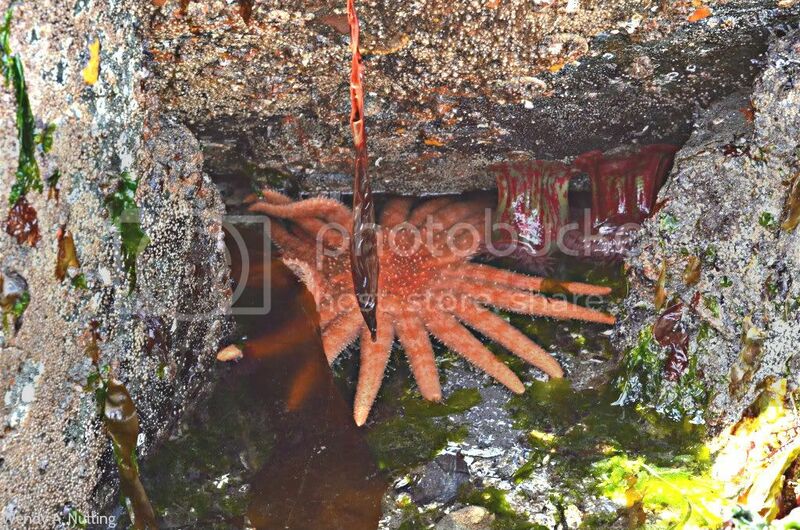 The Starfish or Seastars that call these waters home are so beautiful and so different; red, purple, brown, periwinkle, and bright orange. Everywhere we looked was something new, something different. 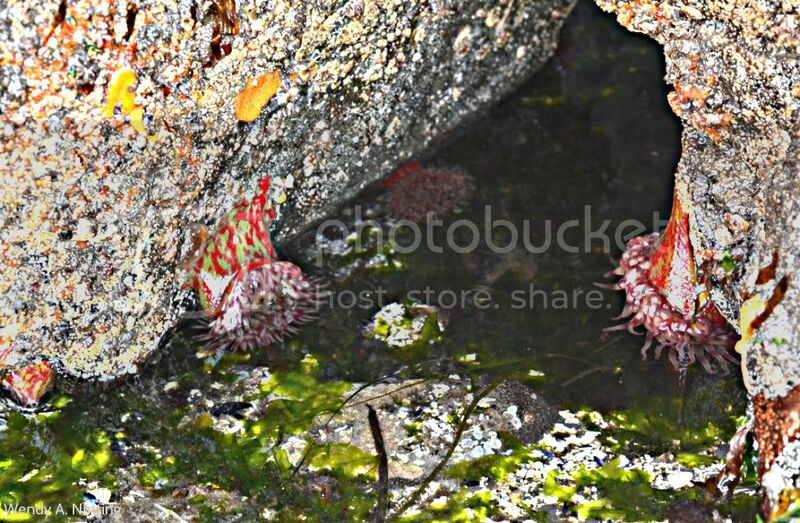 I had never actually seen live Sea Urchins and these vibrant ones hanging from the rocks of the breakwater looked like something straight out of "Avatar". 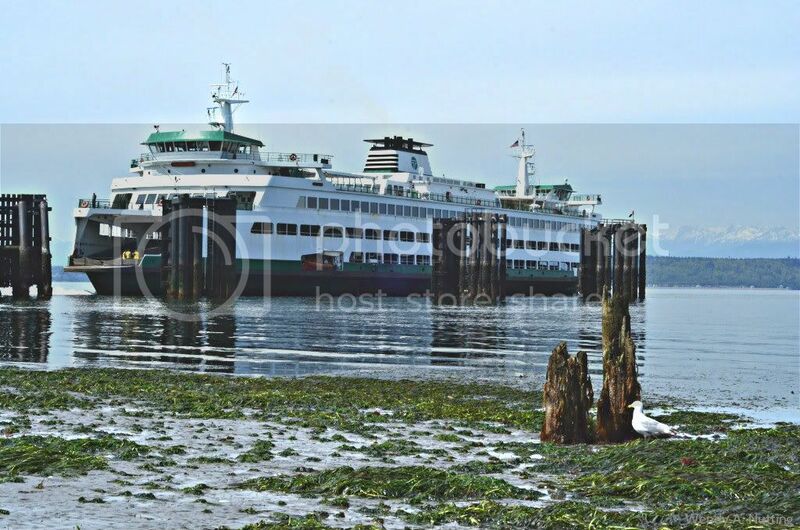 The iconic Edmonds-Kingston Ferry looked so low in the shallow water. And this sign to the Underwater Park served as a measuring stick with the barnacles proving where the tide level normally resides. 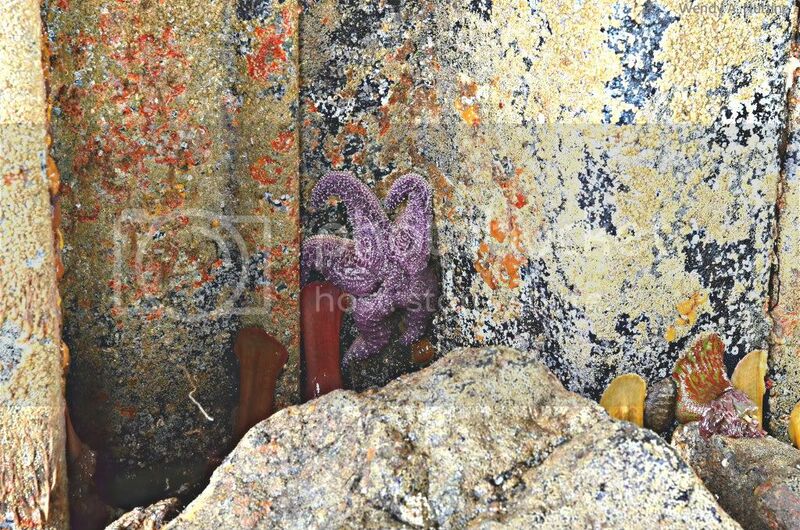 Another habitat full of colorful sea life was underneath the ferry dock. 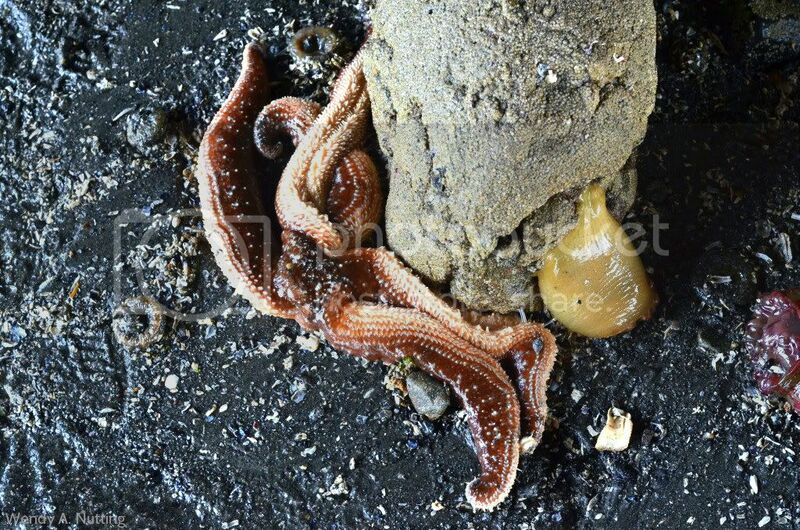 I think my favorite are the purple Starfish, their color is just so beautiful. 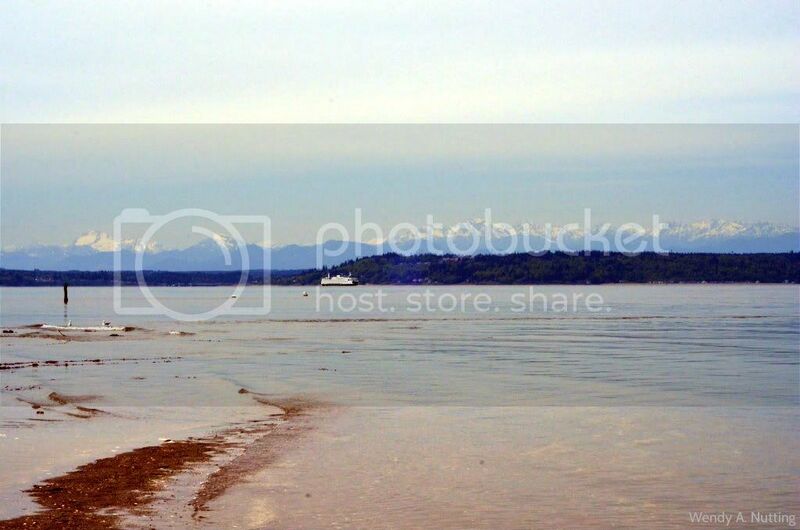 The tide flat on South side of the ferry terminal was so vast and calming and I could have stayed here all day, or at least until the waters of Puget Sound ushered me back out.